Jonathan Haidt is a cultural and social psychologist at the University of Virginia and he wants to explain three key 'facts' about morality. The first is that our moral intuitions come first and our reasoning as to why we hold those moral positions second. We react first, think later (as the eighteenth century philosopher, David Hume, proposed). The second is that there is more to morality than notions of harm and fairness - indeed he offers six patterns of moral intuition on which we weave our moral viewpoints. The four additional ones are liberty, authority, hierarchy and sanctity. The third is that morality both binds groups together and because of this blinds people to a full appreciation of those who lie outside or beyond 'our' group. A hidden hand in contemporary culture. When we think of nineteenth century Russian cultural exports, we tend to think of novelists: Dostoyevsky, Gogol, Tolstoy and Turgenev (to name the most well known). We do not tend to think of 'occultists' - after all: we might think what have they contributed to the modern world except perhaps fringe entertainment (beyond that is the apparently narrow confines of their followers)? To which, at the level of history, we might say, 'Indian independence' for a start! 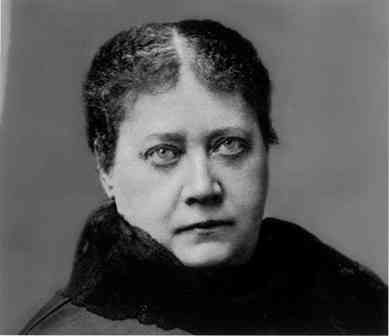 Gary Lachman's recently published biography of 'Madame Blavatsky' is a measured, intelligent account of this extraordinary (and controversial) woman. Even if we discount what she believed - revealed in the dense, extravagant, compelling and long texts that are Isis Unveiled and The Secret Doctrine - and the accounts of the paranormal phenomena that controversially accompanied her life, her life deserves both acknowledgement and gratitude for what it inspired on our usual (mundane) temporal plane. An article in The Jerusalem Post was drawn to my attention http://blogs.jpost.com/content/israel-and-hamas-moral-clarity-moral-fog-moral-hypocrisy and described as 'brilliant'. I read it carefully, twice, hoping for its brilliance to shine forth, when it failed to do so, well written as it is, I sat down and tried to think why? The article suggests that 'moral clarity' resides with everyone with whom the author agrees and moral obfuscation belongs to those with whom the author disagrees. It is clear to the author that Israel is a democracy that only wishes to live peacefully within its borders and Hamas is a terrorist group, pure and simple, whose only mission in life is Israel's extermination. Now both poles of this statement have an element of truth - their purchase on our imagination requires that they do - moral clarity is only achieved if we simplify and contrast. It thrives within the sharp borderings of a black and white world. Hillier's world was one virtually empty of people, painted with precision and sur-real. They were both offered with a realistic accounting and yet one shifting towards the mystery of something yet other. Here a Portugese square is both wholly itself and a parable of dark and light, fall and redemption, through which a priest journeys. 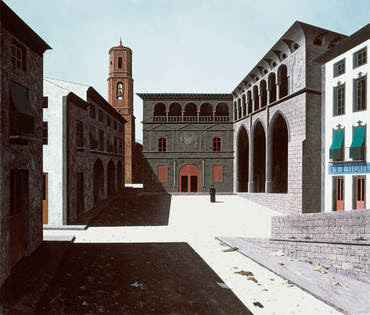 After a Bohemian first half of life, he returned to his birthed heritage of Roman Catholicism and became devout - and though he painted explicitly religious paintings, his preferred space was townscape, seascape and landscape seen through their objects rather than their inhabitants. I like the way that life generates unexpected connections. I had never knowingly heard of Rene Daumel until I read Ravi Ravindra's book recently on his relationship with Jeanne de Salzmann where he refers to Daumal's unfinished novel, 'Mount Analogue'. Intrigued I read this beautiful, quirky parable of spiritual ascent and wanted to know more about its author. I purchased Kathleen Ferrick Rosenblatt's 'Rene Daumal: The Life and Work of a Mystic Guide' (which I am reading now) and discovered that one of his jobs was to act as a secretary to Uday Shankar, one of India's leading proponents of both traditional and contemporary dance in the twentieth century, and the much elder brother of the 'more famous' Ravi (whose 'Symphony' I am listening to presently as I drive to and fro). In the aftermath of the US election, I am fascinated in understanding why we appear hard wired to assign blame to perceived failure (in this case the Republican Party campaign) rather than imagine what success might look like and work back from that to what factors would have brought it about and then, and only then, look at the things that would have needed to be in place (or taken out of the way) to achieve the given result (even then, in this case, knowing that the final result is not in your control). We imagine we move from problem to solution but this movement is usually circular - we remain circulating around in the problem. Most problems are resolved by imagining a different, non-problematic state from which we move backwards into the conditions that need to be brought about to make it so. She was an extravagant liar, a believer in open relationships as long as she were the dominant partner, capable of both flattery to your face and your precise, painful dissection in the privacy of her diary or in gossiping with others. She was, also, generous (often with money she could not afford), complexly loyal, witty, urbane and searchingly intelligent about behaviours as well as minds. 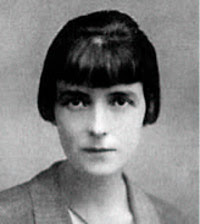 She had, as Claire Tomalin, makes admirably clear an important influence on two great English Modernist writers: D. H. Lawrence and Virginia Woolf and if she did not quite achieve greatness herself became an important writer whose short stories are models of their kind and continue to be read for their psychological acuity, their precision of language particularly in describing revealing patterns of behaviour and voice and of the natural world she unaffectedly loved. 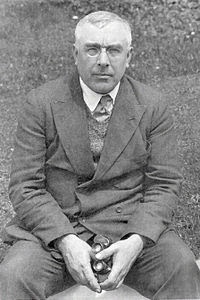 The sub-title of this new edition of Ouspensky's classic account of his work with and understanding of Gurdjieff and his system is misleading: 'The Classic Exploration of Eastern Religious Thinking and Philosophy' because apart from Ouspensky's own linkages between what he was hearing and studying with elements of Sufism, what we do not 'know' is where Gurdjieff got his ideas and practices from (excepting his own geographically challenged descriptions in his own autobiographical 'Meetings with Remarkable Men'). 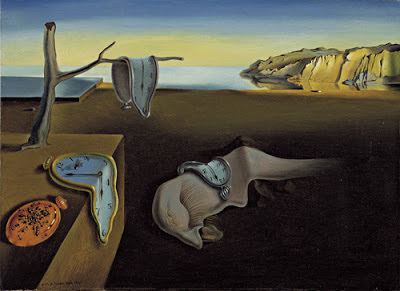 "The Surrealists were wacky but Dali was wackier" opines Olivia Weiberg in the Economist's 'Intelligent Life' magazine. It is her opening sentence in a review of a major show of Dali's work at the Pompidou Centre in Paris. Thus is a subversive art movement packaged for the apparently intelligent readers of 'Intelligent Life'. No need to worry, dear reader, about the conventional confines of your conscious lives: nothing lives beyond them that is anything but passing strange. Surrealism did not apparently help shape the social critique of a Luis Bunuel nor (and this ought to please the Economist at least) play a significant role in the development of modern advertising nor exert significant influence on a number of artists, many of whom were themselves never 'Surrealists'.